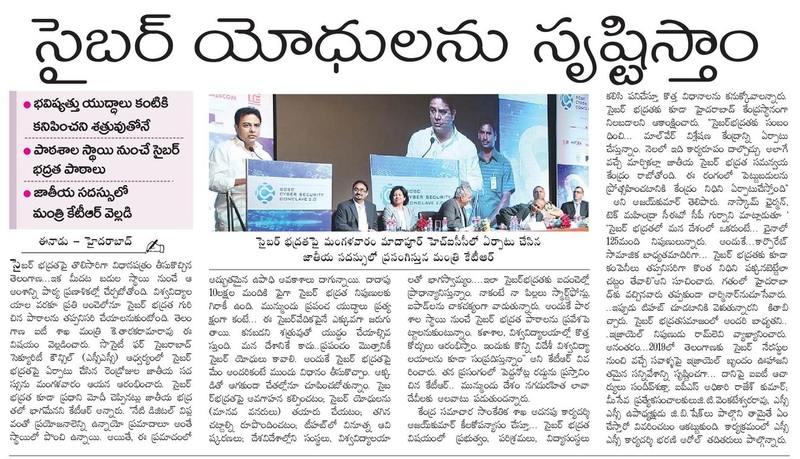 Hyderabad: The Telangana government is working towards creating a pool of skilled cyber warriors, who are trained to identify vulnerabilities and also manage them, said state IT and Industries Minister K T Rama Rao. “Our government is creating a road map for the transition from policy to execution with the help of cyber security experts from Israel and the Netherlands,” he said. 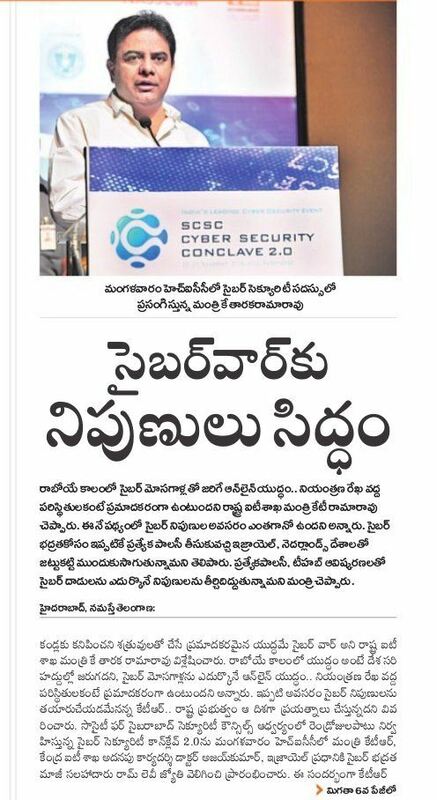 Delivering his address at the SCSC Cyber Security Conclave 2.0 held in Hyderabad on Tuesday, Rao said cyber threats were being perpetrated by unknown attackers whose identity and purpose were unclear. “This makes managing threats and vulnerabilities very difficult. 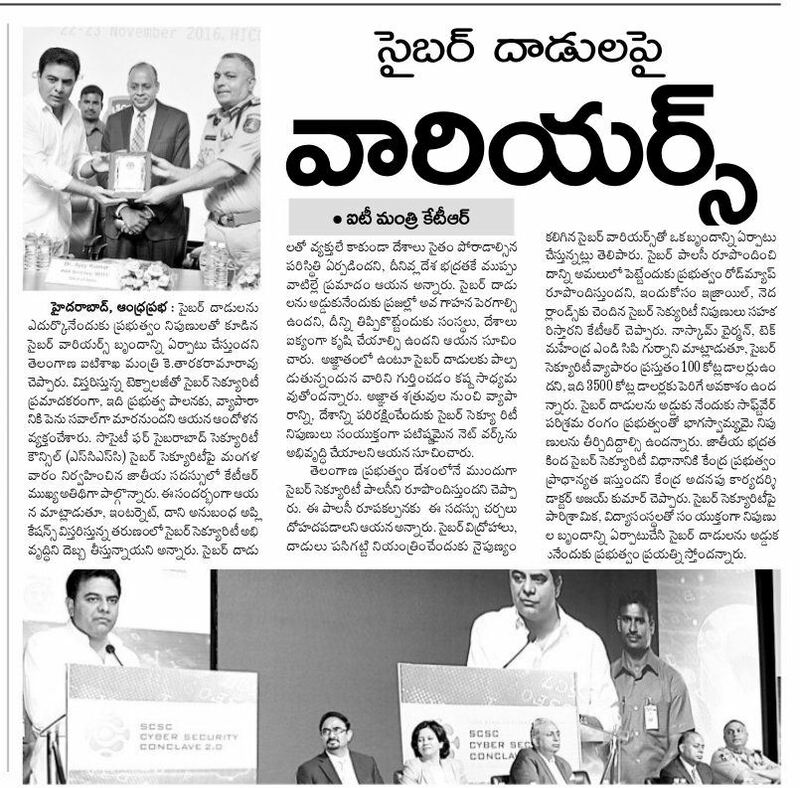 Against this unknown enemy who could disrupt business and nations, creating awareness and building collaboration with cyber security experts is key to managing them. 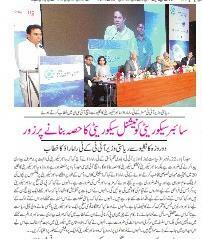 Creating digital and cyber hygiene is critical to dealing with rising threats in cyber security,” he said. 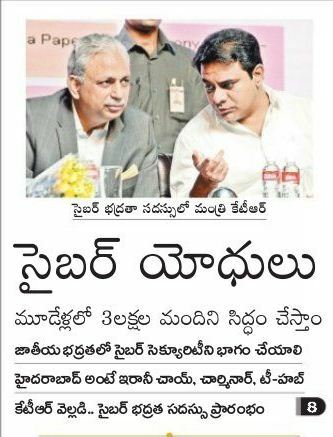 According to CP Gurnani, Chairman of Nasscom and Managing Director and CEO of Tech Mahindra, the cyber security business opportunity would touch $35 billion from the present $1 billion. 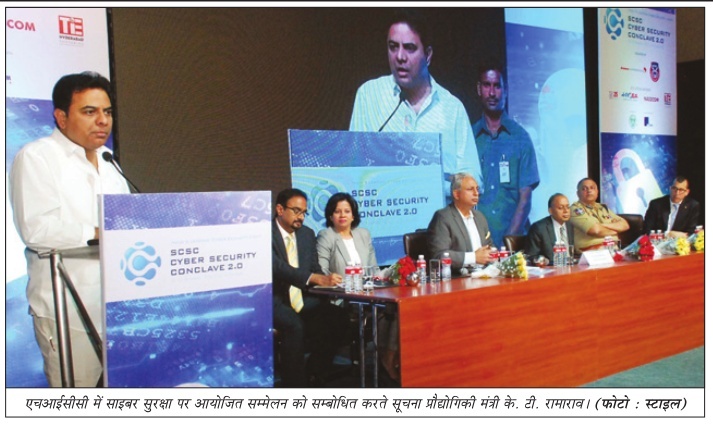 “The software industry should collaborate with the government and academia to develop skilled workforce who are trained to deal with the growing threat of cyber threats, he said.